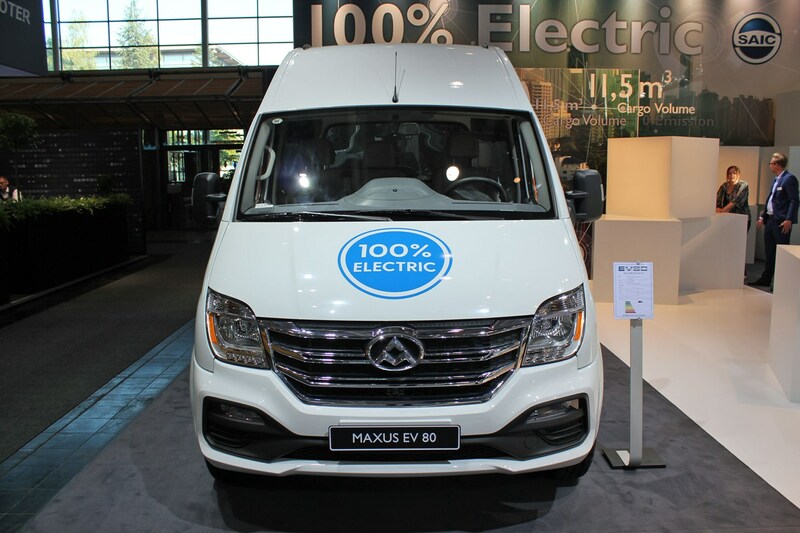 Chinese company SAIC has revealed the latest version of its EV80 electric van, which is sold in the UK under the LDV brand and the Maxus label in Europe. 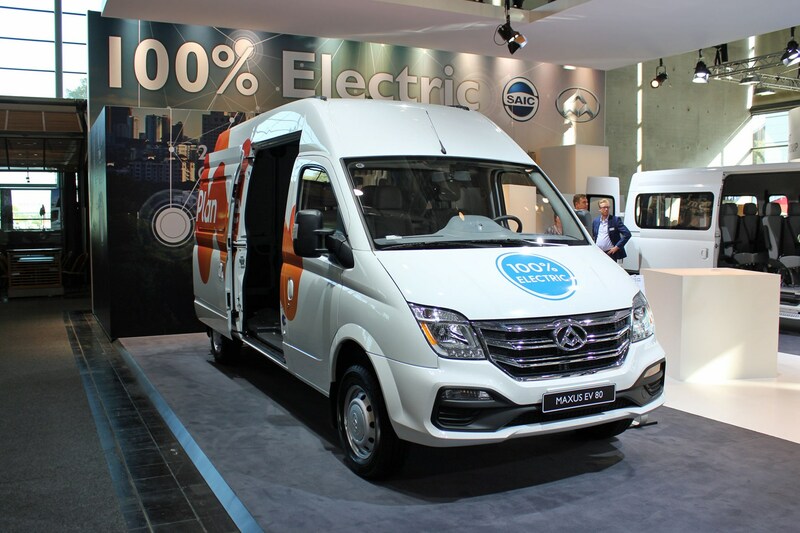 The battery powered large van broke cover for the first time at the 2018 IAA Commercial Vehicles show in Hannover. What's new for the LDV EV80 facelift? The 2018 EV80 comes with revamped styling on the outside and in the cabin, with a reshaped grille perhaps the most notable exterior element. New creases on the bonnet and down the side of the van are about the only other parts that have had stand out changes on the outside. 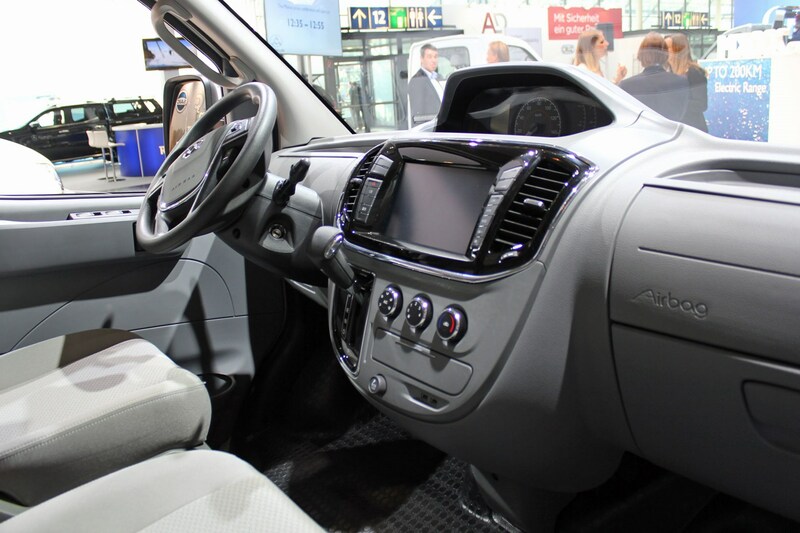 On the inside, meanwhile, there's a new central display, which helps make the aging interior design of the LDV/Maxus/SAIC feel much more modern. What technology does the LDV EV80 come with? The EV80’s battery technology, which was only brought into the UK in 2016, remains unchanged. This means that you get a lithium-ion battery that should offer a maximum range of 200km (or 124 miles) on the existing official testing cycle. According to our test of the previous version, a range of around 90 miles is a more realistic expectation as part of your normal working day, once you factor in things like driving style and demands on the battery such as putting the heating on. LDV also says that you can re-juice the battery using either DC or AC charging as standard – which is an unusual and useful feature – and it takes just two hours if you go for the former. The motor produces 92kW of power, which is the equivalent of around 123hp, and it has 320Nm of torque – this is pretty comparable to the diesel engine in the 2.5-litre V80, which boasts 136hp and 330Nm. In our experience, the electric version is the nicer van to drive, too. What versions of the LDV EV80 can I buy? 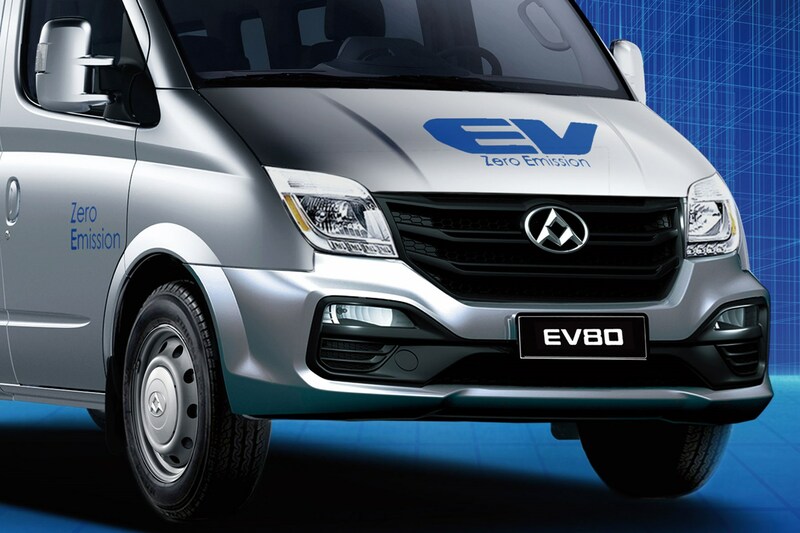 LDV will sell you an EV80 in a variety of different bodystyles, with a choice of chassis-cab, standard panel van, high panel van, and eight-seater minibus variants. There is also a wheelchair accessible model, which can take between one and four wheelchairs and up to seven passengers. The standard panel van has a maximum payload of 950kg (this goes down to 915kg if you go for the high-roof model. The loading bay measures 3,300mm in length and 1,770mm in width. If you go for the standard version then it is 1,710mm high inside and you get an overall loading volume of 10.2m3, while the high-roof version measures 1,920mm high and comes with 11.5m3 of capacity. What equipment do you get as standard on the LDV EV80? The EV80 comes with a decent level of equipment, with air conditioning, electric windows, ABS, heated and powered door mirrors as standard, while rear parking sensors and a 10.0-inch infotainment screen are available as options. The UK pricing has yet to be confirmed, but it will start from €47,500 plus tax in Europe. There might be a slight increase for UK models, though, given the outgoing version costs around £60,000. SAIC says that, unlike some other electric vans on sale in Europe, the EV80 is not restricted in numbers – its manufacturing facility in China will turn out as many as you want to buy. If you happen to be at the IAA in Hannover, you can even have a go – SAIC will have two models for show goers to try out.